Social enterprise advisory consultants are composed of social angels (corporate volunteers) across industries, to provide one-off professional business consultation services and guidance to social enterprises. In response to particular needs and business life cycle of each enterprise, regular meetings will be held among consultation crew and social enterprise practitioners, not only to review on business progress, but also putting heads together work on business strategies to increase effectiveness in progressive sequence. 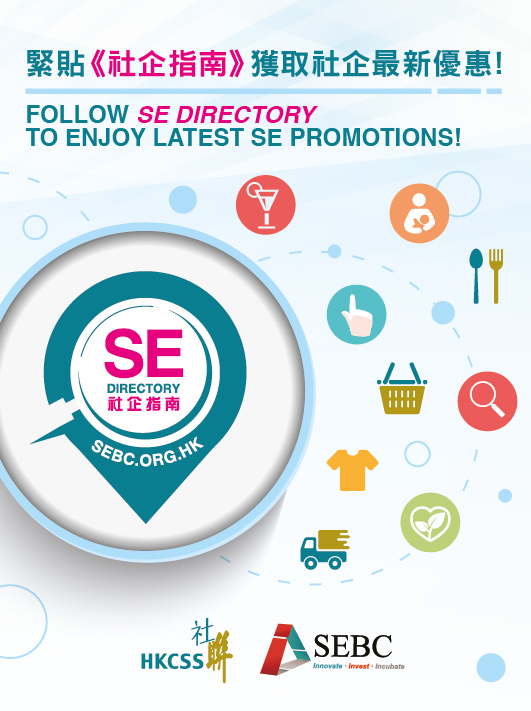 In response to the fast changing business environment, SEBC regularly organize training programmes, seminars and workshops, to equip social enterprises with better business knowledge, we also organize local and overseas visits, provide social enterprise valuable opportunities to social enterprise in enhancing competitiveness and meet the market needs.